Was heading to our 4th of 5 weddings since September and it was "black tie requested", which means you do wear a tux btw. 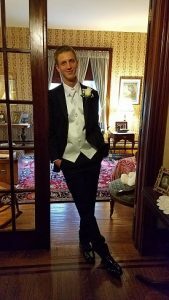 I called some local tux rental locations and was looking at easy $200 with next day return. 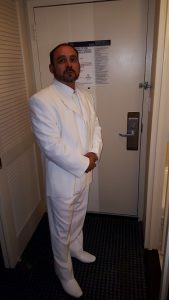 I found National Tuxedo Rentals on line and couldn't believe the price or choices. I had so many concerns dealing with an on line service I decided to call and get the "real story ". Next morning owner called me and couldn't be more helpful. Answered all my questions and gave me his cell number if I had any more concerns. Even offered to send two pairs of shoes to accommodate my husband's extra wide foot at no additional charge. Package arrived as promised 10 days prior to event. Tux fit perfect! Immaculate and pressed. Shoes in two sizes. Complete tux, shoes, cuff links, bow tie and prepaid return label for $94. Best deal in town and unparalleled service. Would use again in a heartbeat! Thank you so much for the amazing service!! I was worried that there had to be a catch, like hidden fees or cheap material. Packaging and handling was top notch. The quality of the Tux’s is excellent. THE COAT IS GORGEOUS! OMG! AND IT MATCHES HIS DATES DRESS PERFECTLY! THE COAT IS GORGEOUS! OMG! AND IT MATCHES HIS DATES DRESS PERFECTLY! I AM SO EXCITED FOR PROM NOW. I WAS AFRAID I WOULDN'T BE ABLE TO A RED THAT MATCHED ON SUCH SHORT NOTICE AND I DID! YOU GUYS ARE ABSOLUTELY AMAZING!!!!! THANK YOU SO MUCH FOR AL YOUR HELP! I'M SO HAPPY I FOUND THIS WEBSITE. The ordering and receiving of the Tux was excellent! Thanks for the great service and a great product at a great price. ​My experience with your company was excellent and I will be recommending you to everyone. The fact that you sent more than one tuxedo just to be sure of proper fit and more than one vest color so I had a choice to get closest to the wedding party colors was amazing. It arrived on time with no problems. Thanks for the great service and a great product at a great price. This company deserves a 10 star… Believe me, I was amazed! The service, selection, quality, and delivery exceeded my expectations. Can't express enough how much I appreciate you and your company. No way I would be able to afford to look as good as I felt on my wedding day... Like a million bucks. National Tux is awesome… and the whole tux was perfect. It was perfect for my husband and the White party we went to. National Tux is awesome it arrived on time and the whole tux was perfect. We will definitely use you again and recommend you to everyone. I have attached a pic. 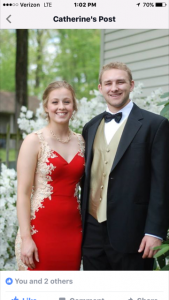 Thanks again for setting our night with your tux. I couldn’t have been more happy with the experience and the guys all looked stunning! 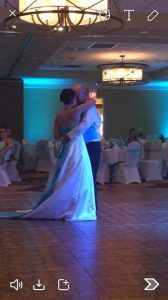 ​Just wanted to let you know how happy we were using your company for our Wedding Reception on March 18, 2016. From beginning to end, not only was the process seamless but the assistance with my millions of questions were remarkable. We had all the men fitted as directed and placed the orders​ for everyone. One persons shoes were too small and another persons suit was too big. Both people called the company and was immediately assisted with replacements. Everything turned out perfect and the free pick-up was a big help with all the madness that was going on. 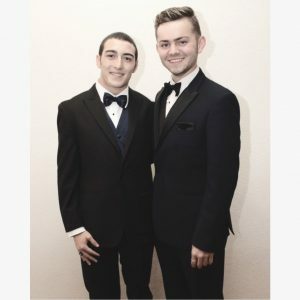 I would definitely recommend anyone looking to rent a tux to use National Tuxedo Rentals, I couldn't have been more happy with the experience and the guys all looked stunning! Thank you for making our day memorable! 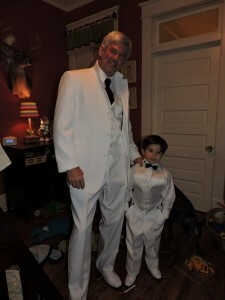 Its the 2nd yr we've rented a tux for our son to attend 1 of the Hollywood Oscar events. Thanks for your impeccable service; I can count on your clothing to be in top condition and I appreciate the coordinating accessories! … taken all of the hassle out of corporate functions. Thank you so much for great service, fit, & speedy delivery. How may companies would do that? I was extremely pleased by the service I received. I received the tuxedo on time, as ordered, I have an odd body type and the jacket didn't fit well. I contacted you and you custom tapered a jacket that fit extremely well and rushed it to me. I will definitely be using your service again! Your company completely saved our wedding day! … better than any I had ever used from a rental location in the past. I just returned my rented tuxedo. I used it for a wedding this past weekend. The ordering process was easy and the self-measurement and fitting instructions were clear, easy to follow and resulted in a perfect fit. The suit was in excellent condition and the shoes were better than any I had ever used from a rental location in the past. They got a little uncomfortable after six hours of wear but I wasn't buying them, so they worked out OK. The shirt was a good fit primarily because I measured "between sizes" and was sent two shirts, just in case. The one that didn't fit had a worn place on the collar, so I was glad that wasn't the one I had to wear. The cuff links were a little flimsy but they worked for the amount of time I needed to wear them. The vest, studs and pocket square looked new. The delivery was timely and in a sturdy box that served to accommodate the return shipment nicely; I put on the pre-printed and pre-paid return shipping label to cover the original label, taped the box shut with the suit, shoes and accessories in it, dropped the box off at FedEx and that was the end of it. My son, who was the groom, had a fit problem because the tailor who measured him did it incorrectly. The ill-fitted result was returned easily and promptly replaced with a perfectly fitted substitute. All-in-all, we were very satisfied with the process, the items we rented, the costs and the responsiveness of the staff. We would definitely use the company again. Super easy to order tuxedo rental. Tux arrived on the day promised ( 7 days before event) and was extremely easy to ship back. Highly recommend! As usual, my experience went very well! As usual, my experience with National Tuxedo Rentals went very well and I had no problems. My wife and I were invited to a Black Tie event on New Year’s Eve that “recommended” a tuxedo. Based on my past experiences with renting a tuxedo, I tried to alibi my way into wearing a suit, but my wife wasn’t going for it. Your service is GREAT! The website was fantastic and easy to navigate. The ordering process is efficient and straightforward even though the choices were numerous. The fitting tips were great. The prices were a bargain. The high quality, fully cleaned and pressed tux showed up as expected it fit and looked great. You simplified my life and you have a customer for life. I recommended your company to all of the New Year’s Eve attendees. Great job! Thank You, National Tuxedo Rentals! I am impressed by the quick response and professionalism experienced by this company. When I was first approached to using an out-of-town company, I was very skeptical and did not think it would work. The wedding happened without any issues. The tuxedos looked great and looked as if each were individually and professionally tailored for the groom and groomsman. I would recommend this company to anyone needing formal attire. Thank you national tuxedo rentals for a job well done! We were very pleased with the services of National Tuxedo Rentals. 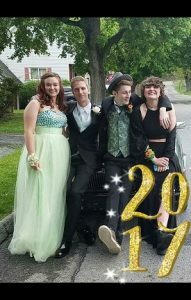 Parts of my son's tux did not fit and ya'll were wonderful. Sent out replacements in plenty of time. Thanks again for a job well done. I would use the amazing service again without hesitation. Have to tell you I was skeptical at first but it turned out to be an amazing experience. Got a ton of compliments, and when I told them where I got it the information went around the room like wild fire. I ordered the incorrect size jacket, didn't open it until I got home 2 days before the Wedding, called National Tuxedo, and in 5 minutes a gentleman named Mike told me no problem, they overnighted me the correct size, I got it the day before the Wedding, and all was perfect. Thank you so much for fulfilling your guarantee! 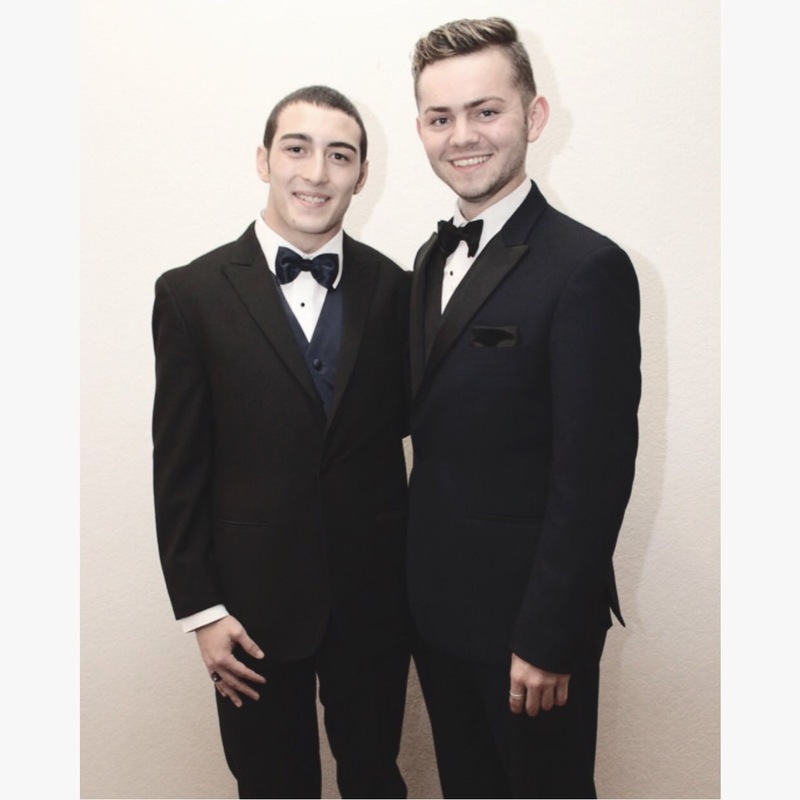 The guys looked fantastic in their tuxes. I appreciate all the help with the late orders. I would recommend using National Tuxedo rentals for any formal event! Well, once again we weren't disappointed with the tuxedo rental. It was so nice and easy to have sizes saved. The only difficult part, trying to decide the combination to order. Stripe tie with patterned vest or gray jacket with black pants.. So many choices! So much fun. 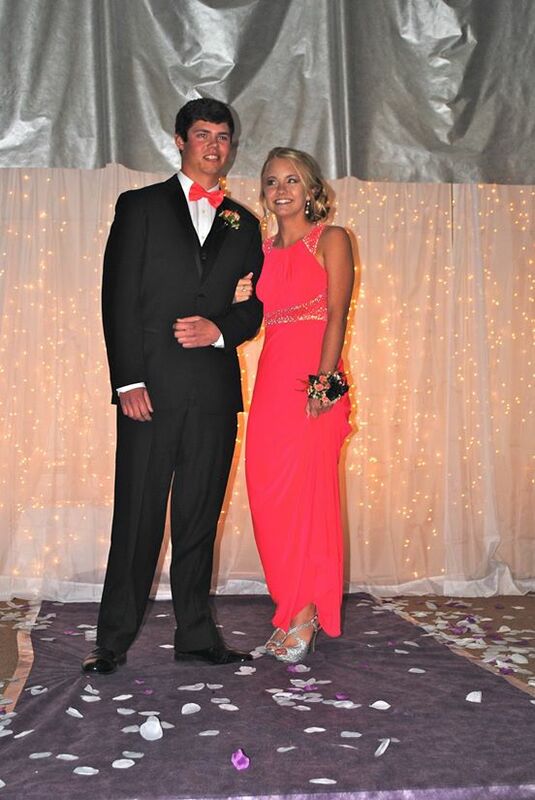 Thank you for making the dance even more memorable and fun! You are a great business! When I heard about your tuxedo rental, I thought it was too good to be true. But it wasn't! You did exactly what you said you would, and everything worked very smoothly! Next time I'll know to order about a month ahead to make sure I don't have to pay the extra for shipping, but otherwise, it was a very perfect experience! My review is 5 stars plus! 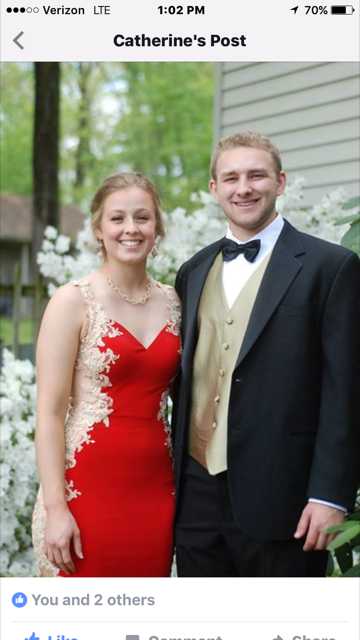 We will DEFINITELY be back for senior prom next year and for any tux needs in the future!! Okay, I know what you are thinking, tuxedos through the mail? We were very skeptical but everything arrived on time, fit great and looked fantastic. We had a wedding party with seven tuxes and they all looked great. The ordering, measuring, and dashboard management were very easy to do and we can highly recommend NTR for your tuxedo needs. By the way, my son looks SHARP! He will be the talk of the Prom because this tux looks tailored to his body & he looks soooo good in it. Thank you for existing! You guys ROCK! Everything you promised was true, even better than promised! THE BEST TUXEDO EXPERIENCE EVER!!! You guys ROCK! Everything you promised was true, even better than promised! I am blown away by how I didn’t have to worry about picking up my tux and whether or not there would be any issues. 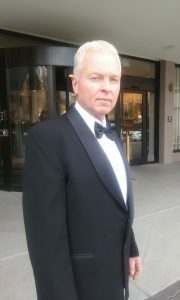 The tux arrived in beautiful condition well before the event. Packaging was so perfect and easy to return. The price was below anything in our area, plus, I didn’t have to make all of those trips to be measured, pick it up, and return it. I will never use another source! I’ve started telling all of my friends. Feel free to do the same. Thank you for being you! Don’t ever change. Your company is very impressive! Excellent service and quality! Your company makes this process SO EASY and affordable! Dear National Tuxedo Rentals, Thank you so much for sending a FULL vest on our rental. 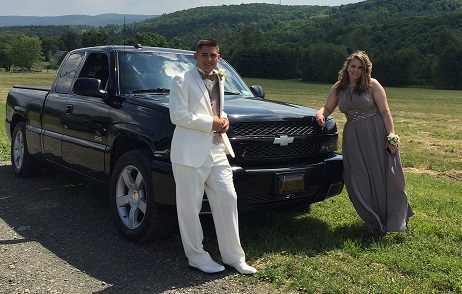 We didn’t do the upgrade because I had to purchase a hot coral vest and bow tie (to match his date, of course) for my son’s prom from another company. The vest you sent fit better, was a much higher quality and had the full back, so he went with your black vest and the hot coral bow tie. He looked sharp! Your company makes this process SO EASY and affordable! It’s the only way to go. Love the ability to choose the level of money you want to spend, but even the cheaper suits are beautiful and high quality. Oh, and your online chat to ask a question was excellent and correct for shipping time - arrived earlier than expected. I can’t say enough about this company. Will use this again THANK YOU!! Superior customer service. And you cant beat the price! Everything fit my son just perfectly! 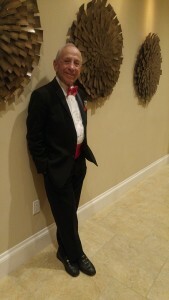 I wanted to let you know that our first experience with National Tuxedo Rentals was fantastic. My son is a senior and needed a tux for prom. We are on a tight budget and couldn't imagine spending more than $200 on a tuxedo, which is cheap if you're going to your local rental store. We went to a name brand men's clothing store last year and spent more than $250. We heard about renting tuxedo's online and did a search. Their were other options, but National Tuxedo Rentals was very user friendly. After navigating through the site, we had everything we needed, and it was less than half of what we paid last year. All yeah, we ordered it a week before prom. It arrived in a few days with everything we ordered and it fit perfect and looked great. The return shipping couldn't have been easier. I only wish we new about you last year. We are telling everyone we know about our wonderful experience and will definitely use your services, again. Feel free to use this as a testimonial and thank you, again. You guys are awesome. 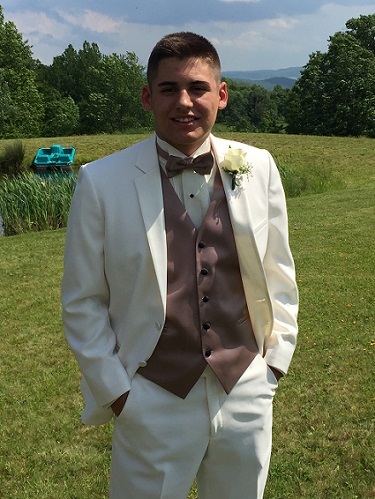 Andrew was the hit of the prom wearing the best looking tux at the event. Plus, no one else had on the same tux. We are repeat customers and will always use National Tuxedo Rentals. The advantages are huge; no driving to the store and dealing with folks that really don't know how to measure and advise; no muss, no fuss if something doesn't fit the way you want; no driving to the store to pick up, no driving to the store to return; if you want to see how another tie looks, just ask and NTR will work with you to make it happen. NO ONE beats their customer service, NO ONE! These guys are awesome and you owe it to yourself to check them out. A very satisfied repeat customer. 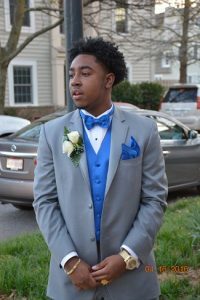 I was extremely hesitant about ordering a tuxedo online, but after going through your website, I felt you answered any question I had, and it was worth the chance. I was extremely happy with both the tux and your service. Everything was exactly as promised. I would not hesitate for a second to order from you again. Thank you so much for making this such a problem free experience. PS....Feel free to share my positive experience. Everything was wonderful. The tux came in a timely manner. 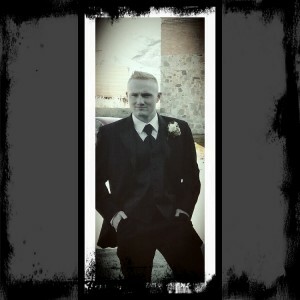 My husband looked awesome. The entire process was effortless. Our wedding day was a blast. Thanks so much for making our day stress free. I have recommended this service to others and we will use in the future. You have been truly amazing! … best experience… throughout my 13 years living in the US! I had shopped around town for a tux rental, going to the usual places. I had shopped around town for a tux rental, going to the usual places. I drove across town, only to receive wrong information about the pricing---price was for a child's tux!! That wasted 2 hrs. of my time. THEN turned out other shops didn't have styles to try on, you chose from a book and it came in just before your event (no time to make changes). Aside from trouble logging back on to the original order, it was a piece of cake to get my son's tux! He isn't an average build; it fit him perfectly and there weren't any issues. SO EASY TO RETURN. 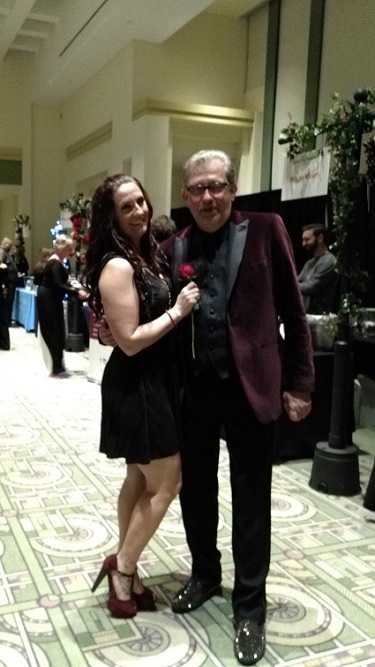 Our experience with National Tuxedo Rental was PHENOMINAL! National Tuxedo Rental was absolutely superb! Just received my tuxedo and I am like a little kid getting ready for his first prom. Everything was as good as you said and my wife says that I look "just Marvelous". The fitted shirt is the one I will use. Thanks for your help and I will be sure to spread the word. Happy Holidays, Alan - 12/21/2015 Everything was as promised, you have a wonderful company. I’m really freakin’ happy with how this went!